2017 HKEP Awardees - OLD — Living R.E.A.L., Inc. Please meet Julia Gold and Dana Lucas, Jr. our 2017 Scholarship Awardees! Julia is an effervescent 7th-grader starting junior high school this year in the Buford, Ga area. She was presented with the first installment of her scholarship along with a loaded backpack! 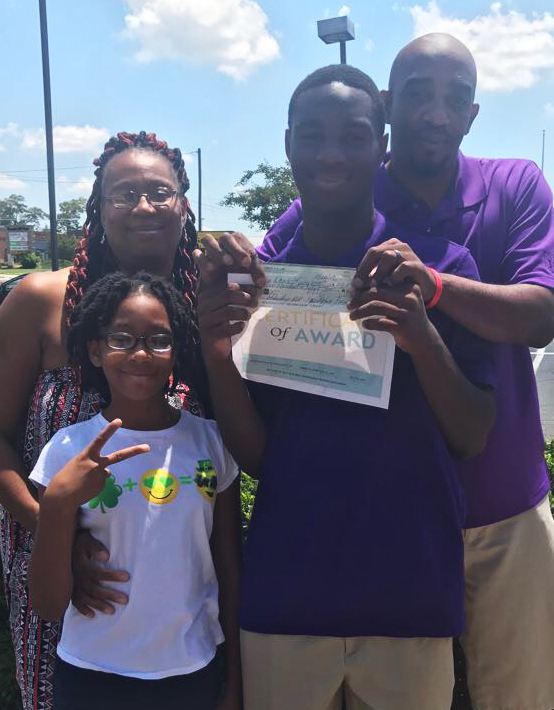 Dana is a soft-spoken thinker who has entered his 11th grade year this fall! 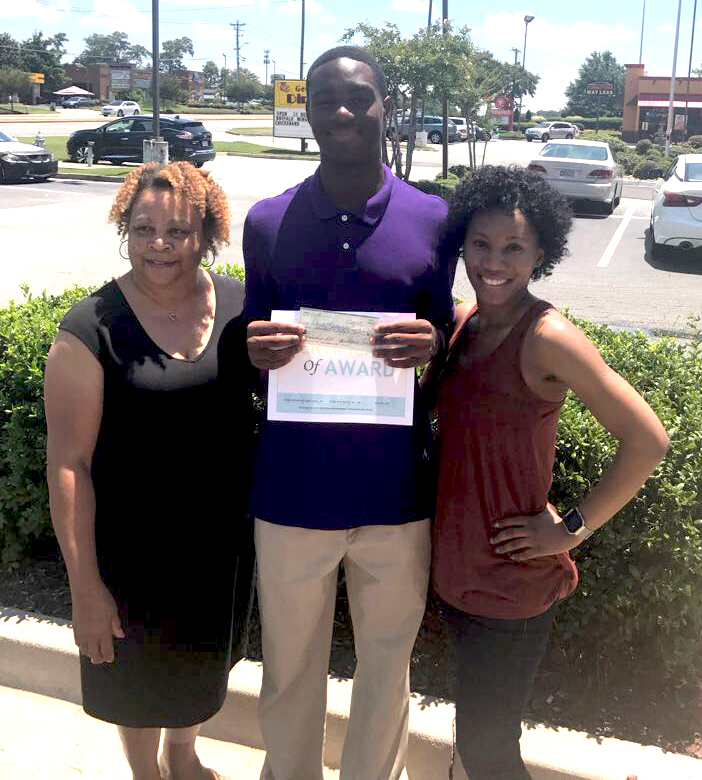 Here he is with our president, Dr. Umana and our executive coordinator Ms. Jones-Turner who presented him with the first installment of his scholarship! Julia and her lovely parents, Mr. and Mrs. Dana and Dulce Gold! Dana with his parents, Mr. and Mrs. Dana and Nichelle Lucas and his sweet little sister, Dachelle.